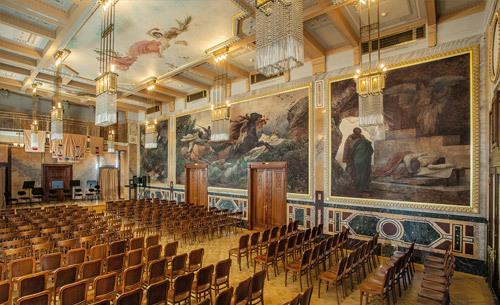 Restored in the 1990s after decades of neglect, Prague’s most exuberant and sensual building is a labour of love, every detail of its design and decoration carefully considered, every painting and sculpture loaded with symbolism. The restaurant and cafe flanking the entrance are like walk-in museums of art nouveau design; upstairs are half a dozen sumptuously decorated halls. 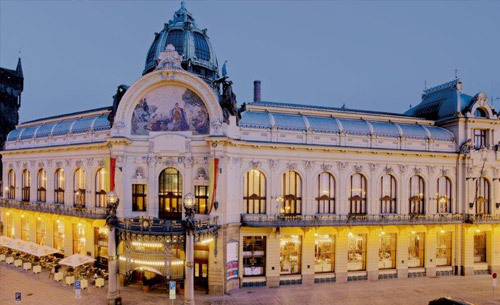 The Municipal House stands on the site of the Royal Court, seat of Bohemia’s kings from 1383 to 1483 (when Vladislav II moved to Prague Castle), which was demolished at the end of the 19th century. 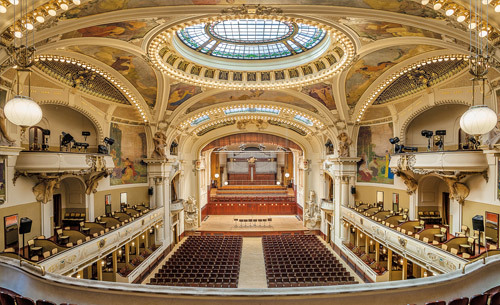 Between 1906 and 1912 this magnificent art nouveau palace was built in its place – a lavish joint effort by around 30 leading artists of the day, creating a cultural centre that was the architectural climax of the Czech National Revival.